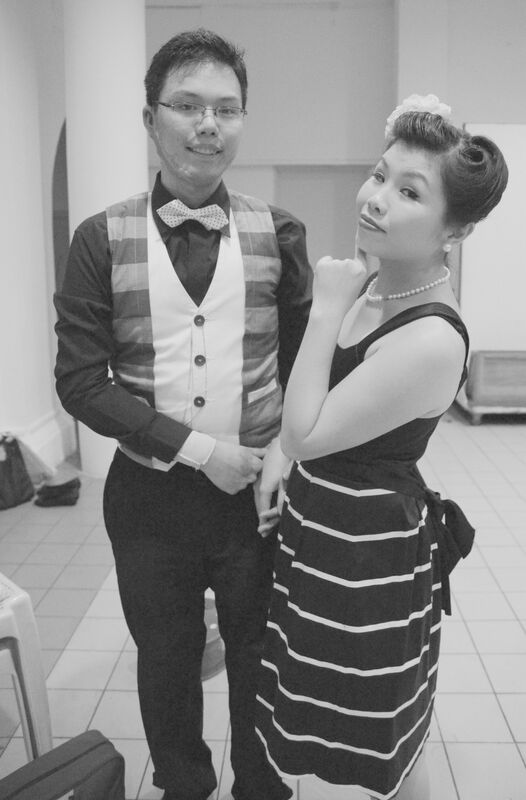 Meet Ming Pang, our latest teacher to share her passion for swing-dancing with the Kuala Lumpur community. Full of life, passion and drive, Ming, when asked to describe herself answered with “Malaysian-born, Australian-bred. A regular kind of banana. Struggling to improve my mandarin.” No doubt, her quirky wit and sense of humour is what keeps her up beat and positive about life and her passion. Ming has been dancing since the age of 11 and her responses show us exactly how much years of training and dancing have shaped her into the person she is today. 1. What got you first interested in swing dancing and was this something you were always interested in and knew you wanted to pursue? I loved that music even before I knew it was called “swing”. And I LOVED the outfits. No point doing something that doesn’t have outfits. I was lucky enough that my teacher Sing Lim had started swing in SIngapore- the first and for many years the only swing in Southeast Asia. Swing’s not really something you “pursue”. It’s not in the spirit of the community to be so…ambitious? You do it because it brings you joy. Then one proper swing-out (which could be months down the line) is the gateway drug to more. Then suddenly you find yourself serving ice-cream to Russians in swing mecca. Least that’s how it happened for me. I am really not joking about that part. 2. What made you start a swing scene in Malaysia? Anyway, eventually someone else started a KL swing Facebook group. I agreed to help them. Then, two weeks after our first free class, she accepted a job in Singapore and I was left holding the baby. Even when it’s free, 30 people looking at you as if you can teach them something is a pretty scary thing. That was the start. Continuing is another story that involves many many more people. But that’s another story for another day. 3. I understand that dance requires emotion and feeling so where does the inspiration to dance come from? The music. You must remember that this was music made by African Americans in a time when they were called much different names. In the 30s they had economic strife, racism, sexism, segregation and drinks came out the bathtub. In times like those, the music and dancing needed to be really. Good. It’s hard not to feel good when you hear swing and see people dancing to it. You don’t even have to be dancing. Just watching makes you feel lighter. Go ahead. Try and prove me wrong! I think the best kind of dancing means communication. The more I teach swing, the more I see it’s closer to teaching a language rather than a choreography. There’s a lot of listening and replying involved. Not just bursting out in moves. If there’s one thing I can get my rant on about, it’s the way we don’t communicate properly. Facebook, Smartphones and tablets are beginning to replace conversation in a pretty considerable way. In swing dance, there’s just two people. And both of them have to be there in real life. You have to ask one person to dance, and make it through 3 minutes or so without hurting their body or their feelings. Then you have to thank them for the dance. And no one wins unless you both do. 4. What do you wish someone had told you about teaching? If you’re daunted by teaching, it’s a really good sign. It’s a sign that you care about your passion–that you’ve seen enough and learned enough to know that what you know is a drop in the ocean. So well done if you are nervous and uncertain. So relax. You don’t have to start off as good. Just start. Don’t compare. It’s seldom going to end well. More practically, you can, um, practice. Explain your skill to some friends and focus on using analogies that regular people will understand. Slow down. Look in people’s eyes to see if they’re getting it. If at all possible, don’t teach lawyers as a newbie. It doesn’t turn out too well. Don’t expect people to get in an hour what took you yeeears to figure out. Do remember how fun but professional your teachers were and try to muster that in yourself. If not, muster to the front of your mind a certain Miss Dawn Hampton. My idol Dawn started performing in her family’s traveling show when she was 3 and now is 84 years young. She’s hunched with age, but she’s still got more attitude and rhythm in one arched eyebrow than a whole flock of hipsters. What? Flock is fair usage- hipsters all have the same look and just like birds, they don’t eat much, on account of the skinny jeans. 5. 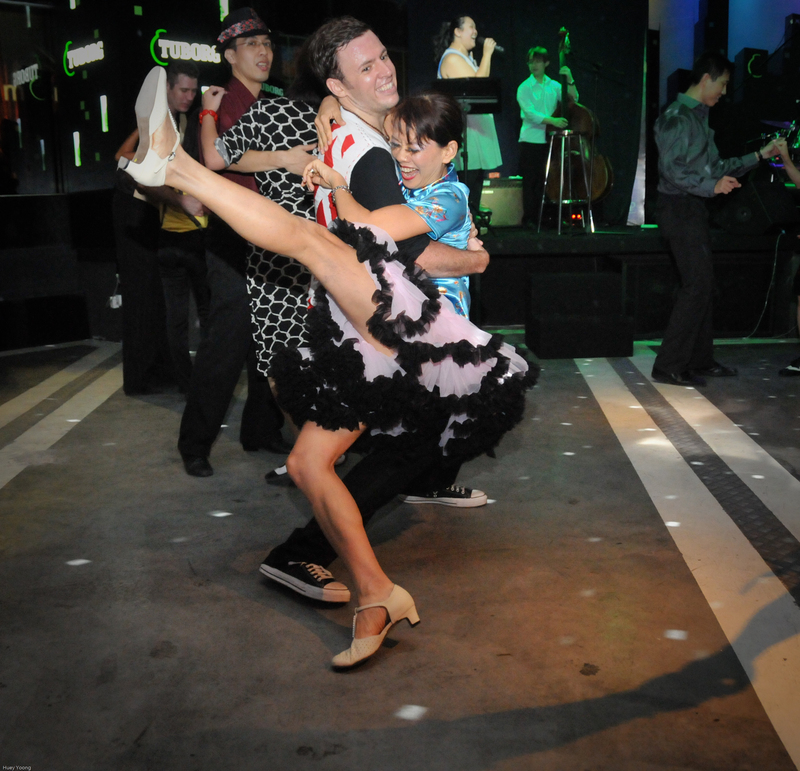 Is swing dancing your main passion in life? Are there any other interests that you are passionate about? Or maybe an interest that you would love to develop? I am lucky/cursed to have two passions in my life. My regular job is at the alternative health practice that my mother set up here after retiring from nursing. She was.. saved? I guess is the word I’d use, from the vagaries of spinal surgeries and cancer by her knowledge of Ayurveda, the ancient Indian health science. She speaks all around Malaysia. It’s less about the detail of Ayurveda and more just in defense of eating real food. Most Malaysians would say they love their food. But take away the MSG, the bottled sauce, the colours, the corn syrup, the white sugar and the preservatives and you really don’t have much left. Then we all know someone in our family who has/had cancer or diabetes and we’re surprised about that. I swore I’d never be so granola like my mum, and I swore I’d never live in Malaysia. But you know what they say- when you want to make God laugh, tell her your plans. 6. If so, what drives you to be so passionate about these things? Foolishness. I would probably make more money and be less aggravated if I were less passionate and more calculated. I’m not judging people who are calculated at all. Being passionate is not particularly clever. Just saying that since I quit Law for Design in my uni days, I have not thus far managed to cross back over that line. 7. Finally, is there any motto or mantra that you strive to live by that you would love to share with our readers? T’aint whatcha do, it’s the way that you do it! ← Mini Giveaway: Win A Free CultureRun ShareShop!